Enjoy that sleep while you can get it, lady. Your neck is going to be really sore after sleeping on that mountain of a pillow. Finding the best side sleeper pillow can be an overwhelming experience. There are hundreds of different types of pillows to choose from and separating the good from the gimmicks isn’t easy. The wrong pillows can potentially cause or worsen headaches, neck and shoulder pain, arm numbness, general discomfort and even sneezing. Your precious rest is at stake, so choose wisely! First, consider your sleeping position. The reason we sleep on pillows is because they help to keep our head elevated in neutral alignment while we sleep. Ideally your head should be perpendicular to your shoulders and your neck should not be bent too far in any direction. 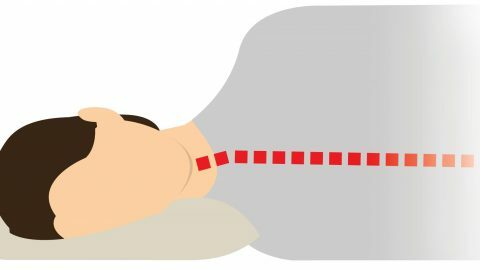 For side sleepers, the pillow fills the gap between your ear and the bed, keeping your body consistently and comfortably aligned. Sleeping with a pillow that is too soft or thin will cause your head to lay too low, creating a downward bend in your neck. Conversely, using a pillow that’s too thick will create an upward bend. Neither is comfortable or conducive to restful sleep. These circumstances can cause excessive stress on your neck and shoulders which can potentially cause pain. If your pillow doesn’t keep your head at the correct level, it is likely you will experience back and neck pain. What’s the best side sleeper pillow? Side sleepers generally require a firmer, fuller pillow than back or stomach sleepers. This is simply because there is considerably more space to fill between your head and the bed while on your side. 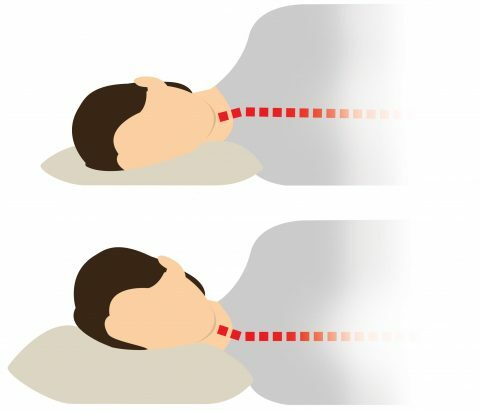 Soft or thin pillow types do not provide adequate support for most side sleepers because their head is inevitably positioned too low. provides enough loft (height) to keep your spine straight, but isn’t so thick that it bends your neck upwards out of alignment. remains supportive throughout the night. The fill does not collapse under the weight of your head, creating an uncomfortable downward bend in your neck. Firm pillow filling types are best at providing consistent support that doesn’t flatten out while you sleep. is comfortable. Ultimately, it’s best to trust your instincts. If a particular pillow works well for you, stick with it. You’ll quickly discover that there are hundreds of different pillows designed specifically for side-sleepers. Of these, many come with a predetermined shape, meant to conform to the shape under your neck. Before you spend your hard-earned money on these, keep in mind that most people change position frequently during sleep. While you might prefer to be on your side, it’s quite likely that you move to your back and stomach many times throughout the night. These pillows are designed to work best while you’re lying perfectly perpendicular to your mattress. They only work well for those that hold a relatively static sleeping position during the night. For most, a malleable side sleeper pillow with down, shredded latex, or buckwheat hull fill will be preferable. These pillow types will allow you to mold your pillow into a shape that’s comfortable and provide firm and persistent support. Sleep on it. It’s impossible to test pillows online or even in a store. The best manufacturers will allow you to try their pillows in your home with a money-back guarantee. Sleep with the pillow in your own bed to determine if it’s right for you. Look for an adjustable pillow. Unfortunately you can’t adjust most pillows on the market. Some pillows allow fill to be added or removed through a zipper opening. This allows you to alter the both firmness and loft of your pillow to your personal preferences. It’s very easy to end up with a pillow that’s either too thick or too thin. There really is no substitute for literally “sleeping on it.” Squeezing a pillow inside plastic packaging at the store isn’t the way to find your ideal pillow. You really need to test drive them in your own bed if possible. Check the manufacturer’s return policy and make sure that you’re able to try it for at least a week. If it’s not right for you, toss it back in the box and return it. You spend a third of your life with your head resting on a pillow, so a little shopping and experimentation is absolutely worth it. The best side sleeper pillows will provide support for both your head and neck. Above all, it’ll simply be comfortable. If you’re careful and deliberate with your purchase, you’ll get the most restful sleep possible. Trust me, it’s worth it! 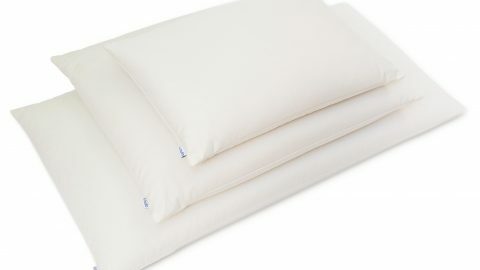 “I am a side sleeper and before getting a buckwheat pillow, I always used two pillows and/or folded my pillows in an attempt to support my head properly. I can quickly shape Hullo with my hands and find a comfortable sleeping position. Before the buckwheat pillow I would wake up with a numb arm, or sometimes a sore neck. This doesn’t happen with Hullo. Try Hullo buckwheat pillow for 60 nights. If you aren't sleeping better, send it back to us for a full refund. I have Temper pedic bed and pillow. The pillow does not give my head, neck, and shoulder support. Give Hullo a try 😉 Don’t take my word for it – check out these reviews. As other side sleepers, I have some difficulties while choosing the right pillow. I tried two different kinds but my neck still hurts me because of the materials seem to be to hard. Thus, the height of pillow cannot be flexible. Is there any recommendation which is soft? Thank you in advance! Down or Kapok might work for you. As far as I know, it is best to sleep in our left side. Nonetheless, it really helped when you said that the ideal side sleeper pillow is so comfortable that we can have enough sleep every night. Thanks for this very useful information which I know might be of help to me in the coming days. Why is My Arm Numb When I Wake Up? Get special offers and updates from Hullo. American-Made Pillow ©2012-2019 Hulltex USA. All Rights Reserved.